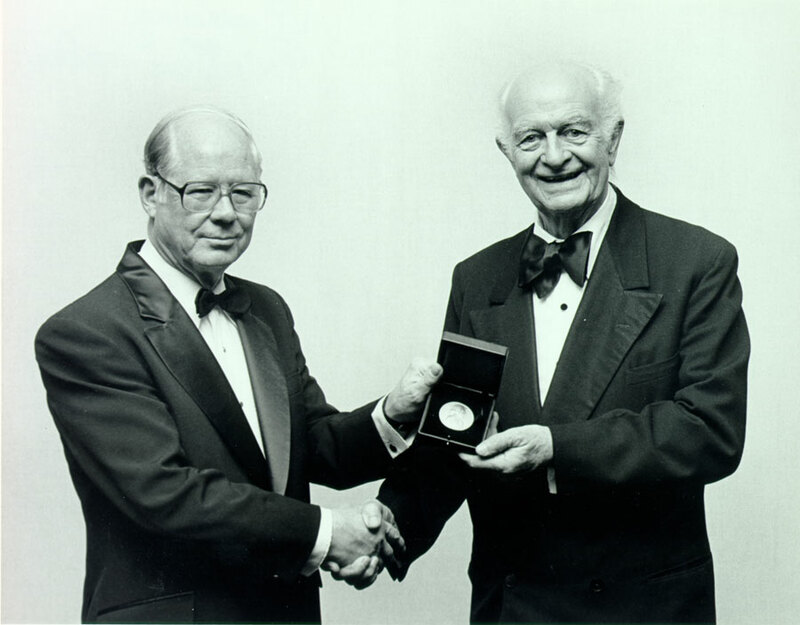 Pauling receiving the Priestley Medal, 1984. 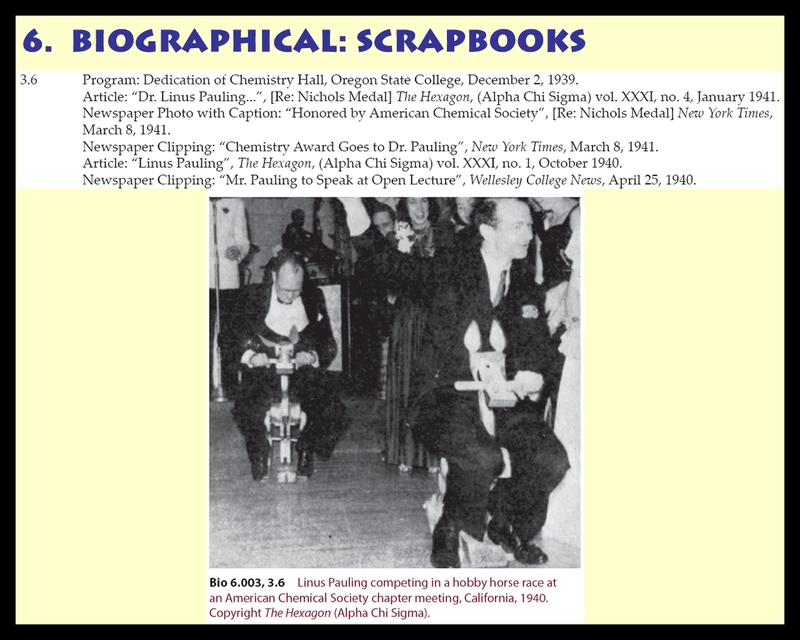 Indeed, Pauling was a well-decorated individual, the recipient of 47 honorary doctorates and just about every important award that a scientist can get. He started early: in 1931 he was the first winner of the A. C. Langmuir Prize, given by the American Chemical Society to the best young chemist in the nation. Two years later he was the youngest person, at the time, to be inducted into the National Academy of Sciences. The volume of awards that he received was so great that, on the surface, some appear to contradict others. For example, he received the Presidential Medal for Merit in 1948 for the scientific work (including new rocket propellants and explosives) that he conducted on behalf of the Allied effort during World War II. Thirteen years later, in 1961, he was named Humanist of the Year by the American Humanist Association. He also received honors from organizations around the world: the Humphry Davy Medal from the Royal Society in 1947, the Amedeo Avogadro Medal from the Italian National Academy in 1956, the Lomonosov Medal from the Soviet Academy in 1978. 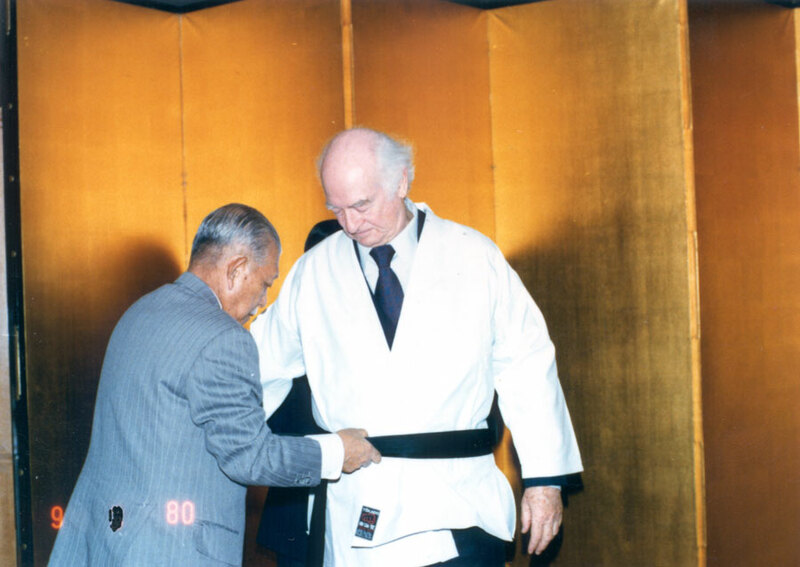 And he graciously accepted decorations from slightly lower profile organizations as well, including (our favorite) an honorary black belt from the All Japan Karate-Do Federations in 1980. 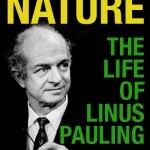 Linus Pauling: peace activist and honorary black belt, 1980. He remains, of course, history’s only recipient of two unshared Nobel Prizes. The Pauling Awards site was originally released in 2004 as a CONTENTdm collection. In the years that followed, the talented student staff of the Special Collections & Archives Research Center photographed many more items that did not make it onto the 2004 release and also rephotographed artifacts that weren’t captured in exceptional quality the first time around. One exciting new technical innovation developed for the Pauling Awards revamp was the automated batch generation of METS records using the XSL scripting language. In the past, all of our METS records have been created by hand. But because the Awards series in the Pauling finding aid is described on the item level, it was possible to develop scripts that would pull the item-level data out of the XML files in which the series has been encoded and create METS records batch generated by machines. This batch of automated records did require a small amount of clean-up by our resident humans, but the process was hugely time efficient relative to creating each record by hand. Because multiple components of the Pauling finding aid (like the photographs) are described on the item level, a batch process similar to what was developed for the Awards site may come into use again for future digital collections. 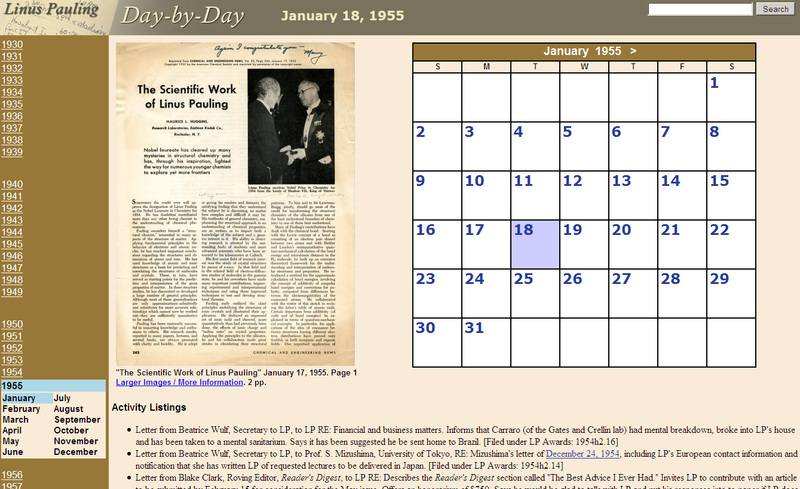 The interface for the 2011 version of the Pauling Awards site is also hugely improved over the 2004 version. 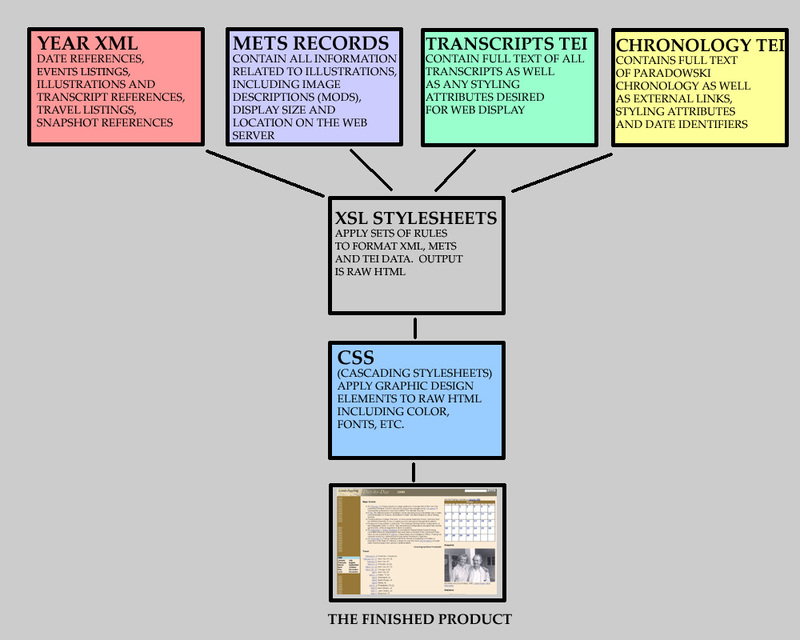 As with all of the METS-based websites that we have released over the years, the Awards site was designed using XSL and CSS, a process that allows for maximum flexibility. As a result, users are now able to navigate the digital collection much more easily than was previously the case. The item level metadata is better now too, allowing for improved alternative navigation, such as this subject view. For more on the Pauling Awards site, see this press release, which, among other things, discusses some of the site’s new navigation features in greater depth. Continuing the theme from our last post, Redesigning our Web Presence, here is a closer look at how we built the new Image Search feature as well as what it takes to create the catalogue pages showing the detailed holdings of our collections. Our main web search feature, now on all of our pages, is provided by Oregon State’s campus search engine running the Nutch software. This software works similar to Google and has web crawlers that find web pages and indexes them for searching. 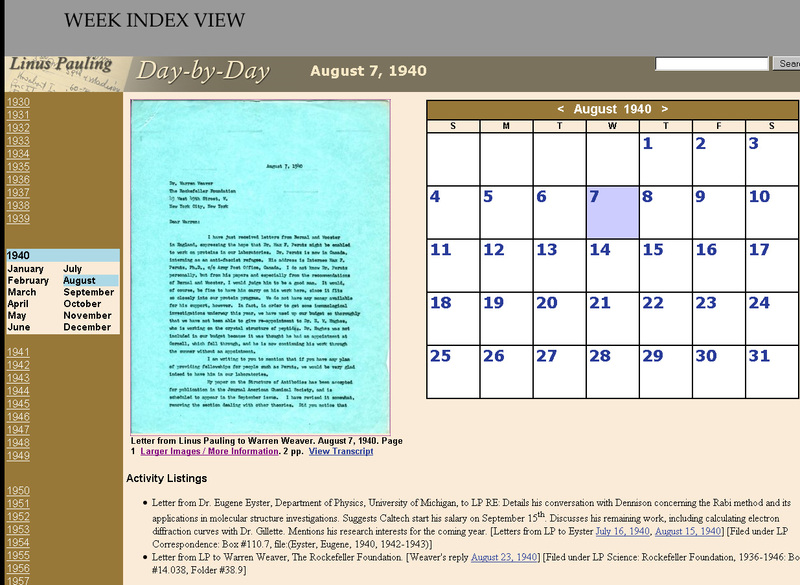 Each Documentary History website and Linus Pauling Day-by-Day have a search box that limits results to the pages and items on only that site. However, the main search feature on the OSU Libraries homepage does not use the campus engine, and our websites and digital objects were not included. The Library’s search feature is powered by LibraryFind, built by a team at OSU using the Ruby on Rails web application software. LibraryFind harvests and indexes many records and data sources, but does not crawl web pages. 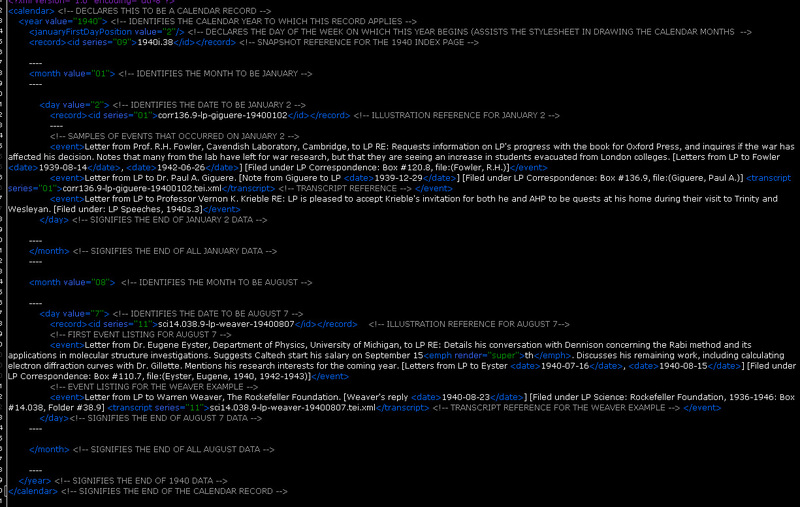 We needed to get our records harvested by and indexed into LibraryFind. Since our digital object records are stored using the METS format with MODS metadata, it was fairly easy to convert this to Dublin Core metadata, which can then be served up by an OAI-PMH provider. LibraryFind then checks our OAI-PMH provider and harvests our digital object metadata for indexing into LibraryFind. Thanks to Terry Reese for his assistance on setting up the provider software and for his work on LibraryFind. as appropriate to our metadata files. Now that our digital objects are harvested into LibraryFind, they are included in results for searches done from the Library’s homepage. We can also limit the search results to just our materials, and by turning on the image results view, we get our new Image Search functionality. 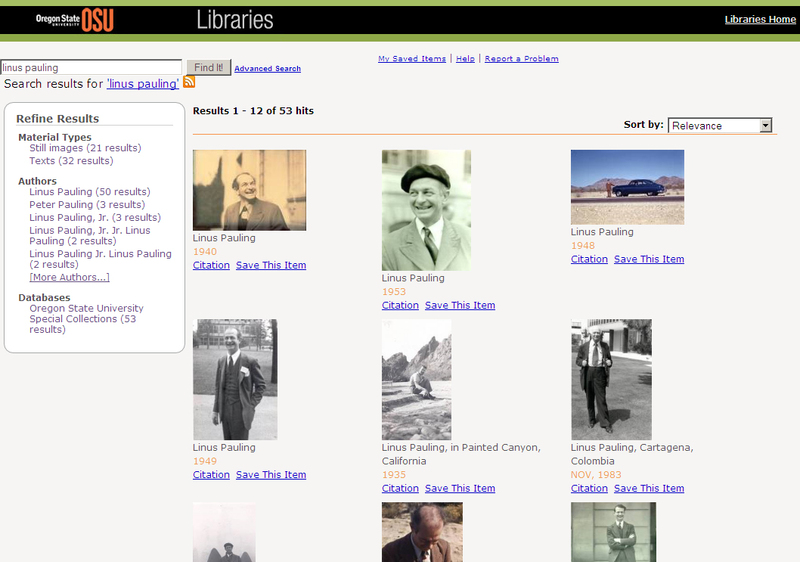 Now it is easy to search for digitized materials that are online, including photographs, scans of documents, and more. In the future, we plan to include more of our digital objects and increase support for complex items and multimedia files. Our previous setup for processing catalogues was heavily modified from older EAD Cookbook stylesheet files and contained a large amount of custom code. One of the major sections we added was code that split up very large sections and box listings into separate web pages that were a reasonable size, instead of presenting hundreds of boxes or folders on each page. To accomplish this, the stylesheet used to first make a temporary file that built a high-level ‘menu’ of the catalogue, which had a range for each page that was to be created. The rest of the stylesheet would then use this menu file to determine what pages to create, and searched over the whole collection for the IDs of the start and end of each page. This was complicated by the fact that some box IDs are not easy to compare numerically, such as ‘1954h3.4’ or ‘NDi.2’. Usually the alphabetic characters were replaced with numbers or punctuation to facilitate comparing them against each other. This technique was not very efficient for large sections, and required lots of tweaking to be able to handle all the various box and folder IDs we have. Also, separate stylesheet files had to be created to better handle the Pauling Papers since it was so much larger than anything else, which meant that it was a pain to maintain features in both sets of stylesheet files. 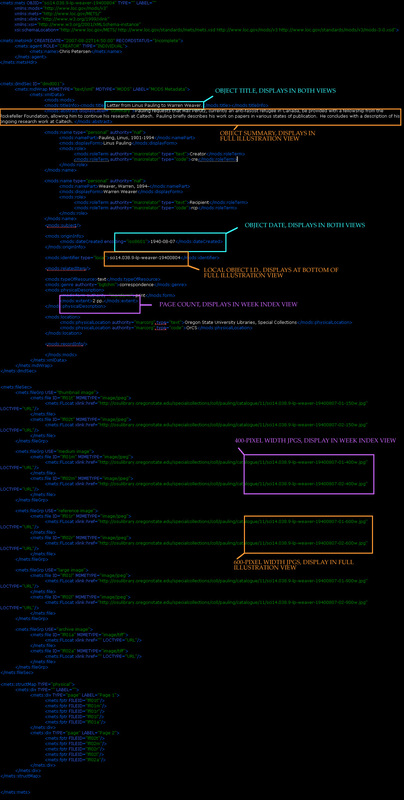 For the newer set of catalogue XSLT stylesheet files, we took a few different approaches. Second, the code to break long sections into smaller pages for web display was redone, this time using the position of a box or item instead of the IDs. IDs are still used for display purposes, but the output is all based on position (such as 1-10, 11-20, etc.) This code is much cleaner since IDs are no longer directly compared. It’s also faster since it deals with the pages sequentially and doesn’t loop over the whole section every time a page is processed. Third, instead of using HTML tables for the columns layout of catalogue pages, we switched to a CSS-based layout that approximates the look of columns and indents. This requires much less code in both the XSLT for processing and the output files. Finally, all catalogues are processed by the same set of files, and separate ones for the Pauling Papers are no longer needed. This will enable us to make improvements faster, expanding our links to digital content and increasing the access options for our materials. 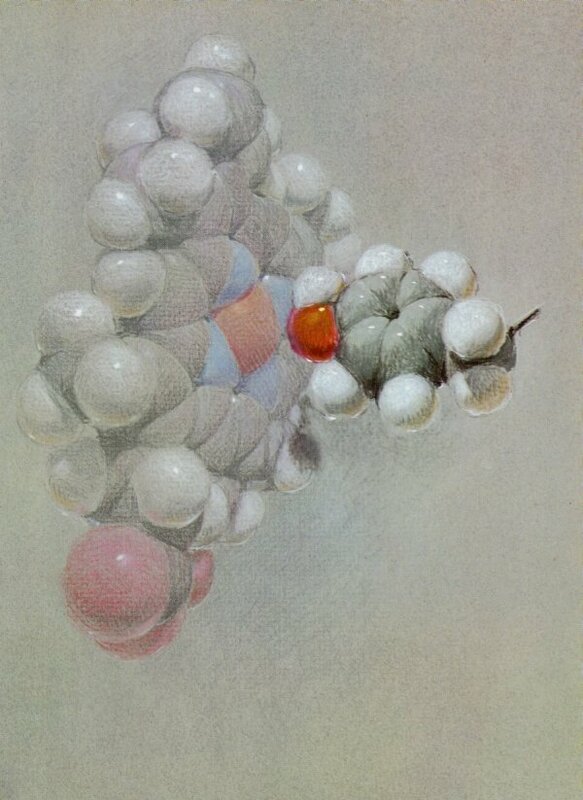 Pastel drawing of a hemoglobin molecule by Roger Hayward, 1964. Similar to the revised version of our “Nature of the Chemical Bond” documentary history website, which was launched this past February, the “second edition” of “It’s in the Blood!” contains a ton more content: the final tally runs to 53 new letters, 458 pages of added manuscripts and papers, 18 new pictures and 11 new audio and video clips. The metadata for all of the site’s content is drastically improved as well — a fact that is most immediately evident on the various Key Participants pages, which have been transformed from rather spartan affairs to content-rich resources like this page devoted to Harvey Itano. Aside from the self-evident benefits of adding more content to our pages, revising the older documentary histories has also prompted our digitization work more in the direction of a uniform METS-based platform. We’ll talk a lot more about them at a later time, but for now it’s sufficient to define METS records as all-in-one containers for digital objects. We use METS (Metadata Encoding and Transmission Standard) and MODS (Metadata Object Description Schema – both are flavors of XML) not only to describe a scanned item in a qualitative sense, but also to define how the item displays on a page. The METS record also defines certain display characteristics that are then interpreted by the XSL stylesheets that build our HTML pages. Again using our hemoglobin molecule as an example, the METS record which defines the object’s output declares that it can be displayed at one of four different sizes. The 150-pixel width display is used for all images inserted as Narrative sidebar images (Hemoglobin is on this page), as well as all images aggregated onto a given All Documents and Media index page. (Hemoglobin is about 3/4 of the way down the Pictures and Illustrations index.) 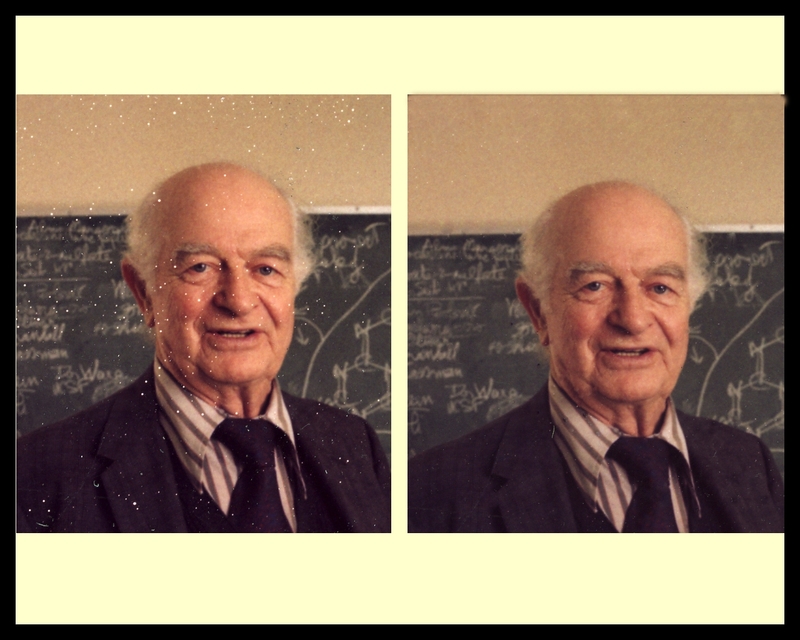 A 400-pixel width version will be used in a revised version of our “Linus Pauling Day-by-Day” project, which we hope to launch later this year. The 600-pixel width “reference images” display like this, and the 900-pixel width big kahunas look like this. METS records take a while to create, but the payoff is well worth the effort. The flexibility that METS provides both within and across projects is of huge importance to us — when building really big websites and/or multiple websites with subject matter that tends to overlap, (the documentary histories, the Day-by-Day calendar and the Pauling Student Learning Curriculum, e.g.) it is way more efficient to be able to describe an object once but use it again and again. This past Friday we launched a new project about which we’re pretty excited. As described in this press release, the Pauling Student Learning Curriculum is geared toward advanced high school- and college-age students, and is applicable to the teaching of both history and science. As the press release also notes, the large amount of illustrative and hyperlinked content included in the website makes this a resource that should be useful to teachers and students anywhere in the world. The history of this project is a long and interesting one. The curriculum itself was originally designed nearly ten years ago for use by visiting fellows of the Linus Pauling Institute. Over time, the content that was developed for the fellows program was repurposed for use by a University Honors College chemistry class that conducts research on the Pauling legacy every Winter term. For several years we’ve been planning to post the text of the curriculum online, thinking that doing so would assist those chemistry students whose busy schedules preclude their spending an optimum amount of time in the Special Collections reading room. It eventually dawned on us that the curriculum could actually be expanded into a powerful resource for use by teachers well-beyond the Oregon State University campus, and we’ve been developing the project with that goal in mind ever since. Throughout these sections, we’ve linked to any applicable objects that have already been digitized in support of our various Documentary History and Primary Source websites. The curriculum also includes a series of instructions on “rules for research” in an archive. We feel that this is especially important given the youth of our target audience, and hope that it will likewise provide for a positive introduction to the in’s and out’s of conducting scholarship with primary sources — an oftentimes intimidating process for researchers at any level. The website itself is built with TEI Lite, which we’re using more and more in support of small but clean webpages that can be created and released comparatively quickly. Though we’ve used the TEI (Text Encoding Initiative) Lite standard for numerous transcripts projects in the past, the first of our sites to be built entirely in TEI Lite was the biographical essay “Bernard Malamud: An Instinctive Friendship,” written by Chester Garrison and posted on our Bernard Malamud Papers page last month. Plans for several additional TEI Lite-based “microsites” are currently in the works. TEI Lite is a terrific tool in part because it is very simple to use. In the example of the curriculum, all of the text, images, administrative metadata and much of the formatting that appears on the finished site are encoded in easily-learned and interpreted tags. (We used XSL to generate the table of contents and to standardize the page formatting — e.g., where the images sit on a page and how the captions render.) As a result, most of the mark-up required for these projects is at least roughed out by our student staff, which makes for a pretty efficient workflow within the department. 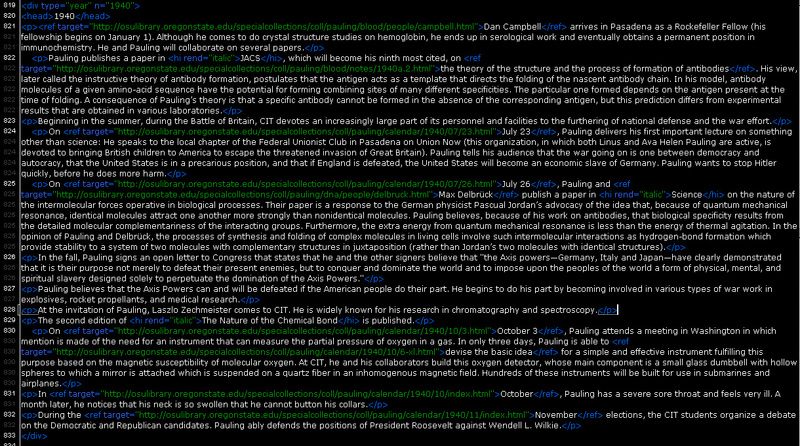 An example of the TEI Lite code for Page 2 of the Pauling Student Learning Curriculum is included after the jump. We’ll be happy to answer any reader questions in the Comments to this post. Once the publication’s text had been encoded and its illustrations selected, the next major challenge in creating The Pauling Catalogue was the actual design of the publication, page-by-page and volume-by-volume. This process was carried out chiefly through the skillful implementation of Adobe’s InDesign software. 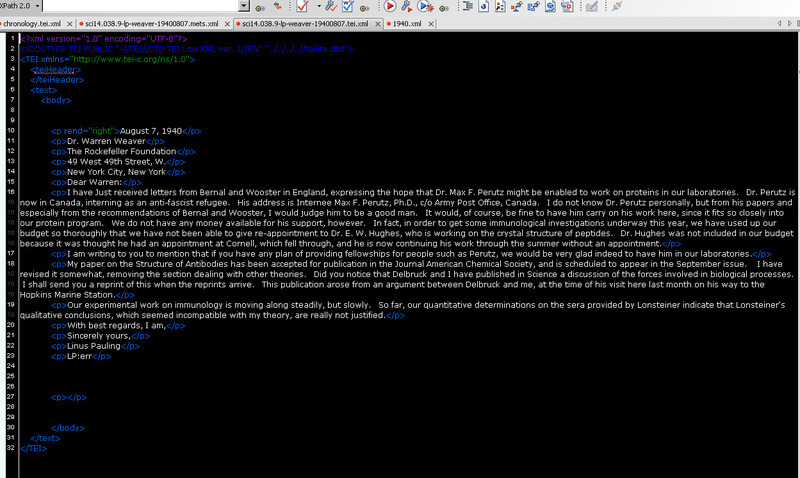 Having marked-up the raw text of the publication in XML, the catalogue’s textual content was ready to import into InDesign. The result of this import, however, was a large mass of largely-unformatted text. As much as possible, various characteristics were assigned to groups of text based upon a given group’s location along the xml heirarchy. In this, specific sets of data were styled automatically through a pre-determined set of formatting rules specifying font, color and spacing rules. The illustration below is an example of the output generated by this process. The top level of the hierarchy for this series is the series itself, “Biographical.” The second level of the heirarchy is the subseries, in this case “Personal and Family.” The third level is a box title, and the fourth level is a folder title. 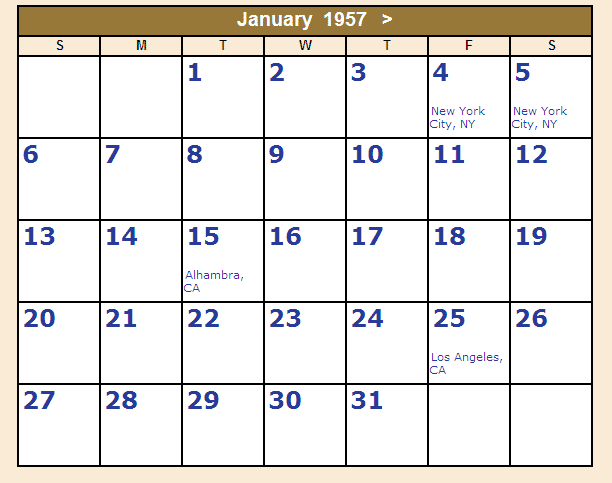 The illustration depicts the styling characteristics that were assigned to levels three and four of the hierarchy in the Biographical series — all box titles were formatted in red, all folder titles were formatted in black, and each had its own spacing rules. Formatting the publication’s illustrations was a significantly more complex proposition. 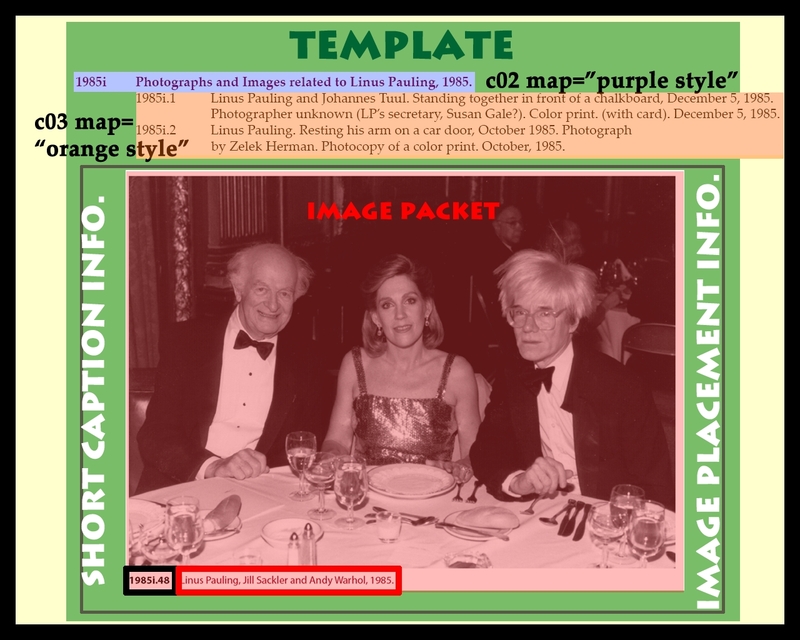 During its initial design phase, a placeholder image template was inserted on each page of The Pauling Catalogue. These templates consisted of three “boxes” meant to hold printing material — one box for the illustration, one box for the illustration’s catalogue identification number and one box for it’s caption — as well as two additional “boxes” in which non-printing design notes (an instructional note for the designer indicating where the image should be located on a given page, and an abbreviated description of the image used to generate illustration indices published at the back of each volume) were inserted. Identifier and caption information for each illustration was imported directly into these image templates from a series of master Excel spreadsheets. 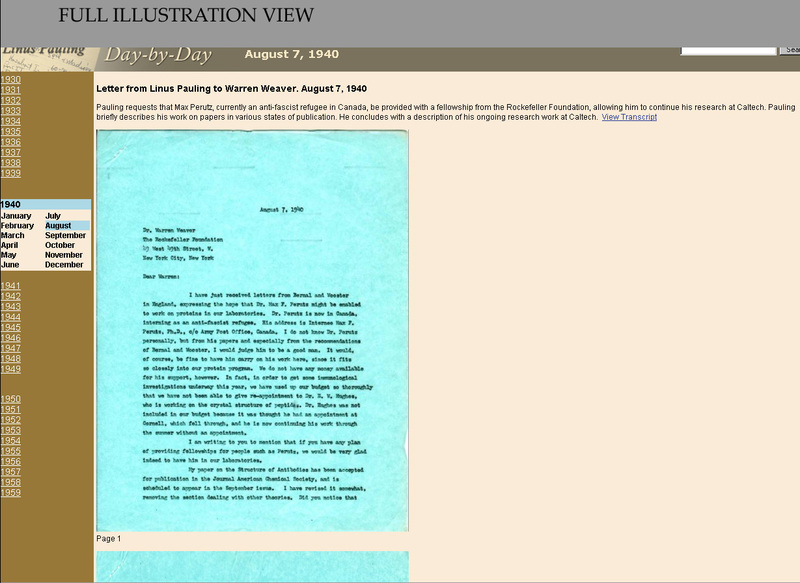 For pages not containing an illustration, the placeholder templates were later removed. 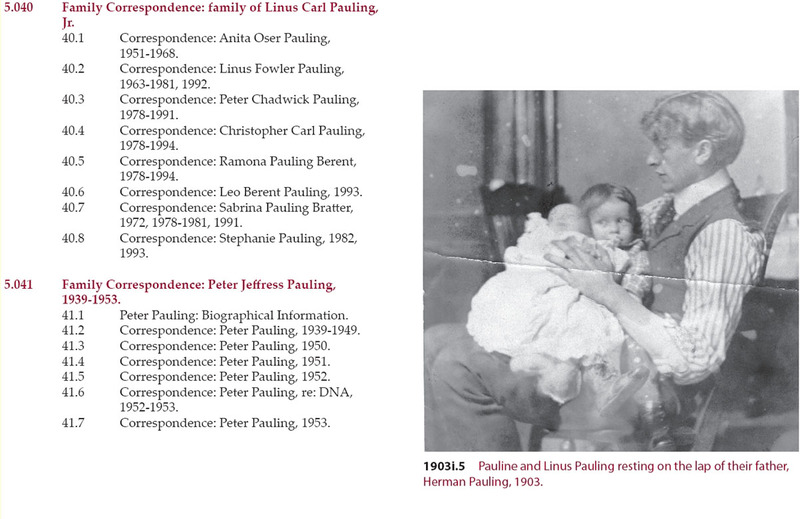 A representation of the multiple "boxes" comprising the image template used to format each of the 1,200+ illustrations incorporated into The Pauling Catalogue. A great deal of image correction was likewise conducted to remove flaws — dust speckles, for instance — from the selected illustrations. A particularly extreme example of the image correction often required in the formatting of the illustrations used in The Pauling Catalogue. A few original graphics were also created for this project, most notably the Pauling Catalogue badge designed for presentation on the cover of each volume. 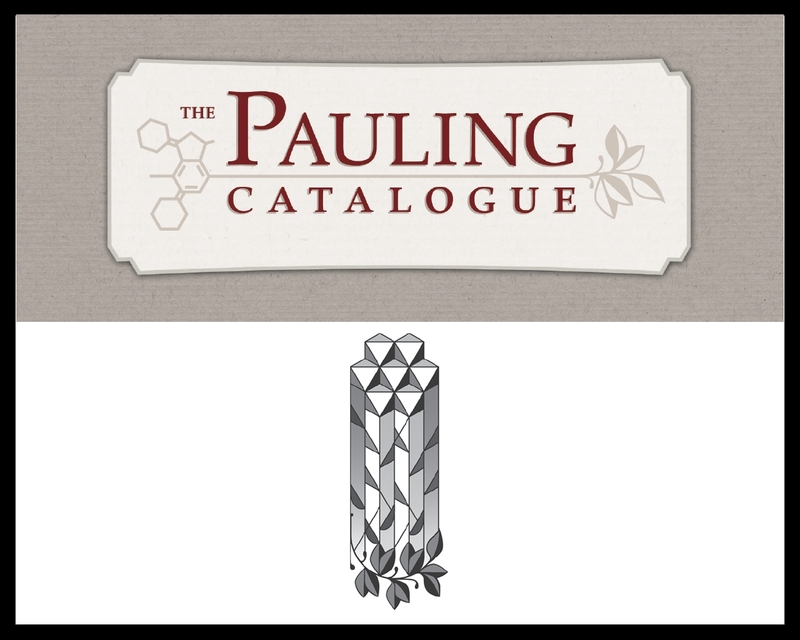 The Pauling Catalogue badge and the Pauling Papers logo -- both are used as design elements throughout The Pauling Catalogue. Manual corrections were made to minimize “widows” and “orphans,” and a few additional manual changes were made directly in InDesign to correct small problems that would not be efficient to address in XML or XSL. All design decisions were made with the overarching, two-pronged goal of this project kept in mind: 1) to disseminate scholarly information in a clean and useable manner and 2) to create a product that is aesthetically pleasing, browseable and of interest to a broad audience. While the primary market for The Pauling Catalogue is presumed to be academic libraries and history departments, we feel that the finished product is likewise at home on the coffee table or living room book shelf.